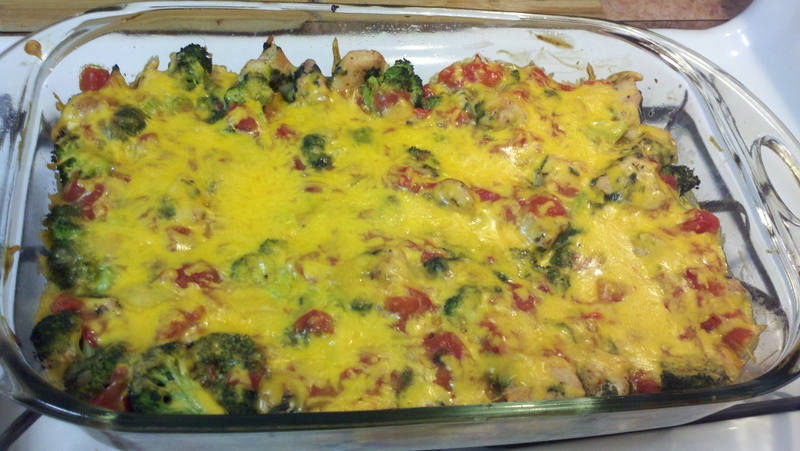 Love those casseroles that are as good at the leftovers period as the dish was when it was fresh out of the oven? THIS is your casserole! Additionally, it is low in calories and in fat making it deliciously, guilt-free lunch or dinner option (8 total servings at 260 calories/serving and about 5 g fat) Can of chicken soup or other can of’s are often found in casserole dishes. The combo of can of chicken soup and the Rotel tomato and green chilies will blow your mind here though. This dish does have a kick to it, but not a giant kick rather more of a flavor explosion in your mouth. Unless you’re one of those pre-disposed to hating the taste of cilantro*, you’ll want to make this and then make it over and over and over again. *Fun Fact: Those people who dislike the taste of cilantro have taste buds that receive cilantro much like the taste of soap. I most certainly do not have this pre-disposition. Any of you out there that do, though? Preheat oven to 350 degrees. Sprinkle salt, pepper and garlic powder evenly over bite-sized chicken. In a large skillet, heat oil over medium heat. Add cilantro and chicken and cook for around 10 minutes, stirring occasionally. 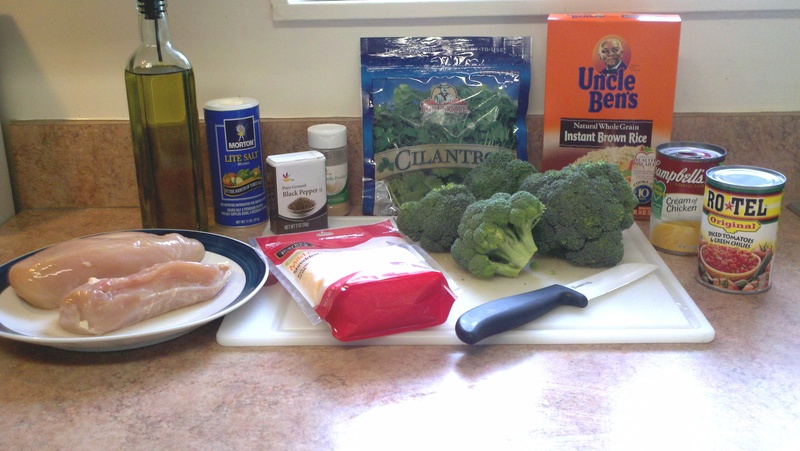 Add broccoli to skillet and cook, stirring occasionally, until broccoli is tender and juices run clear when chicken is pierced. Remove from heat. In a small saucepan, combine cream of chicken soup and Rotel. Stirring occasionally, cook over medium low heat until warmed through. Remove from heat. Spoon rice into a non-stick sprayed 2 1/2- 3 quart casserole dish. Next, spoon chicken mixture over rice. Pour soup/Rotel mixture over chicken. Sprinkle with cheese. Cover and bake 25 to 30 minutes or until cheese is bubbly.